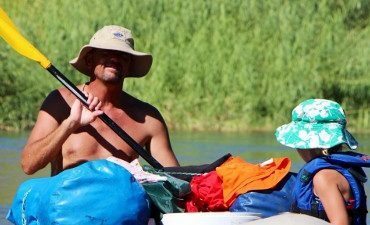 Join our 6-day orange river kayaking adventure this season. Kayaking is one of the best ways to embark on an expedition. We load up or kayaks, plan our route and embark on an unforgettable river adventure. This trail is all done through the Richtersveld and using the Orange River as our guidance. Our Kayaking trails are perfect for small and private groups. 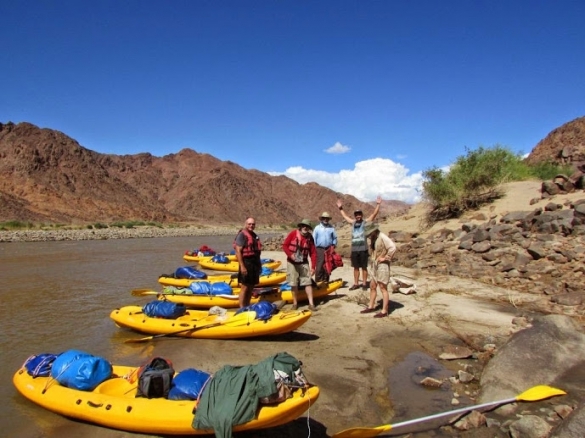 The orange river kayaking trails start from The Growcery Camp and end at Sendlingsdrift. 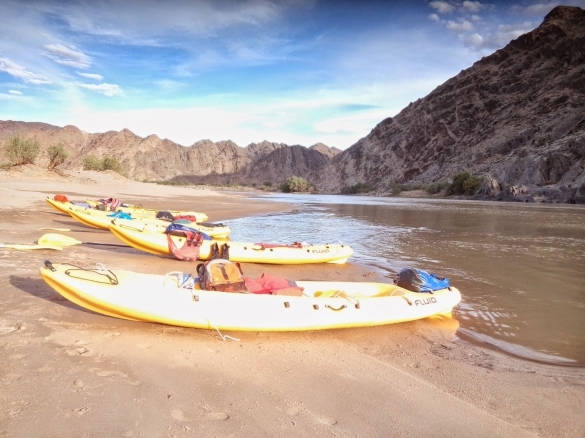 This kayaking adventure will take you on a 215 km journey through the Richtersveld Transfrontier Park. 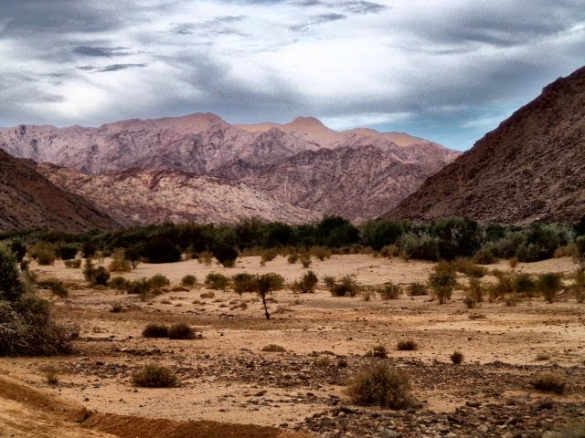 The Richtersveld is well known as the only desert mountain range in South Africa. 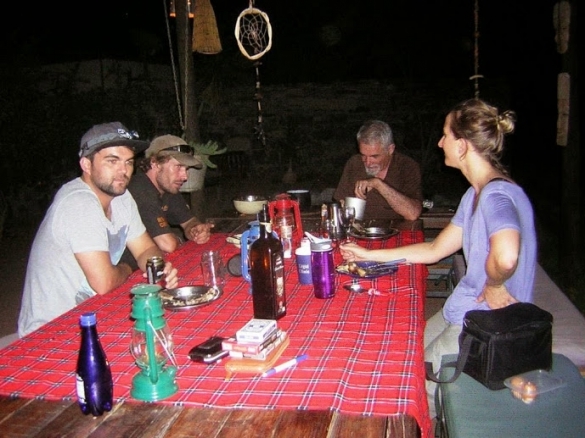 This adventure is rated one of the ultimate outdoor experiences in South Africa. 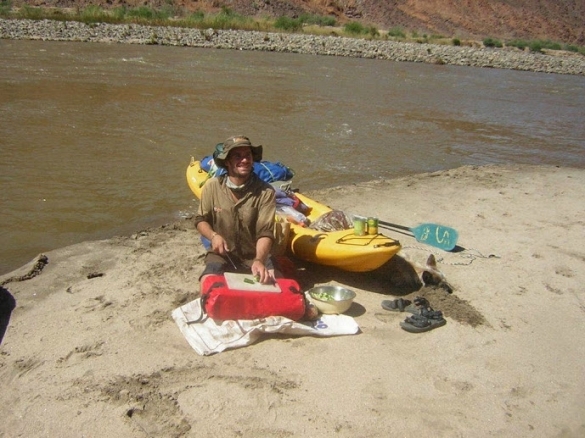 Orange River kayaking trails are suitable for paddlers with a moderate level of experience. The kayaks sit on top kayaks, but you are welcome to bring your kayak. We divide all the equipment and meals amongst our paddlers. We have designed a highly efficient power food menu to give us the maximum energy from our meals. There are few adventures as satisfying as this 215 km paddle through the desert. 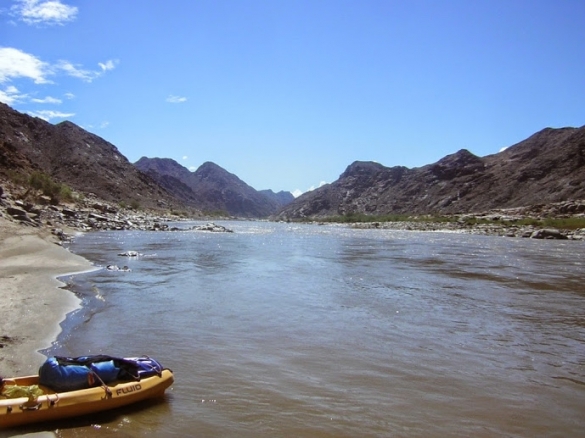 Our camps are on the banks of the Orange River and as, a group we stay together and explore all the rapids, channels and challenges of this orange river kayaking adventure. Our Experience Guides will lead the kayaking trip. Paddling through the Transfrontier Park.